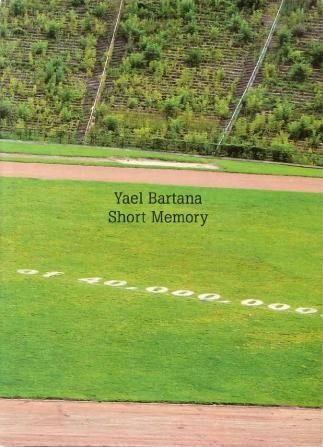 The catalogue was published on the occasion of the exhibition 'Short Memory', held in The Center for Contemporary Art, Tel Aviv and at P.S.1 MoMA, New York. The publication includes stills of 'Wild Seeds', 'A Declaration', 'Mary Koszmary', 'Summer Camp', 'Kings Of The Hill', 'Trembling Time', 'Sirens' Song', 'Profile', 'Low Relief', 'When Adar Enters', 'You Could Be Lucky', and 'Freedom Border'. Contributions by Sergio Edelsztein, Ariella Ayoulay, Joanna Mytkowska, Galit Eilat. Interviews by Klaus Biesenbach. Published by The Center for Contemporary Art, Tel Aviv.